Back in January I took a vacation and decided that on each day of my vacation I would make a new beer inspired recipe. 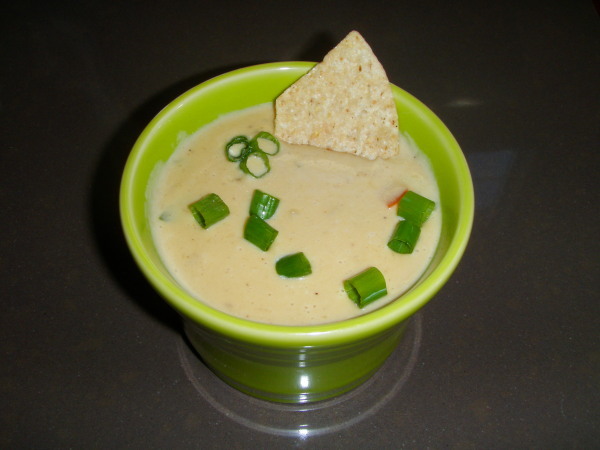 For today’s post I made a Beer Cheese Queso recipe however I slightly adapted from How Sweet It Is’ recipe it to suit my tastes. If you would like the original recipe you can find it here. You will want to start with the meat, browning it up until it has that nice charred (not burned) look to it. Once it gets to where you want it set it aside. 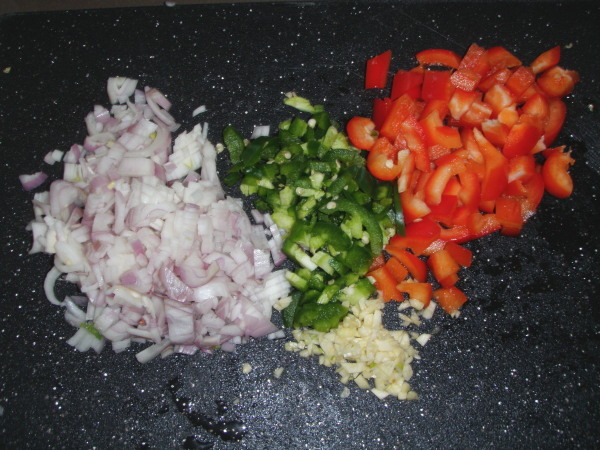 Dice up the shallot, jalapeno, red pepper and garlic cloves and place in a pan with the olive oil. You will want to cook the veggies until they are tender. After they reach perfect tenderness you can add the beer over medium heat. 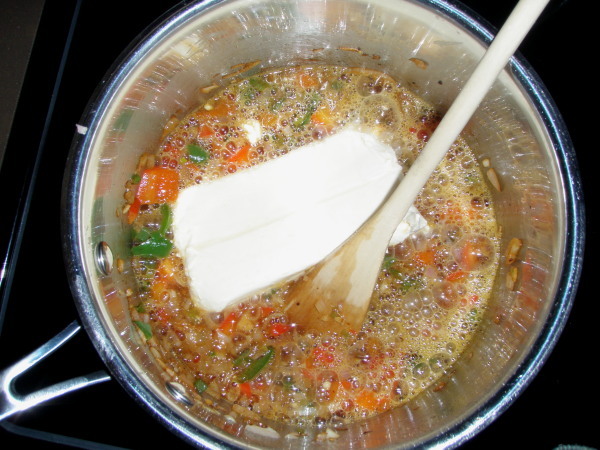 Next you will add the cream cheese. The original recipe warns you of what the cheese does on this step and I will as well. You will think that you have created a disaster after you add in the cream cheese as it looks like a crumbly mess. Fear not as the heat will warm the cheese and it will dissolve into the beer. The last steps are to add the black beans, sprinkle scallions and cilantro (or no cilantro if you’re me) and serve. The cheese will start to harden up if it is not kept warm so I used a Fiesta bowl, which kept the cheese warm for quite some time. 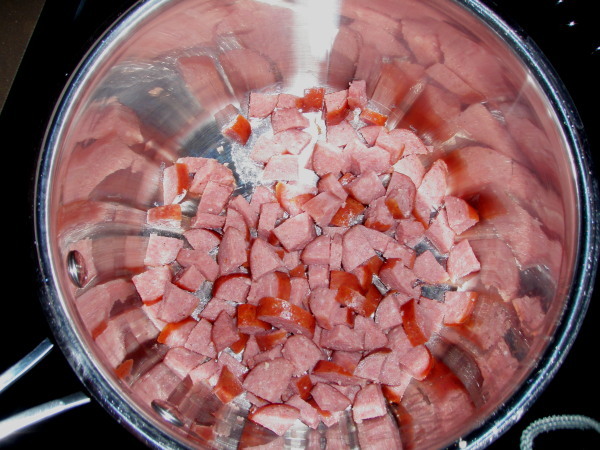 I have also used a mini crock pot, this of course worked best. If you actually have any left overs the queso warms back up well in the microwave. Do quick bursts of time and stir in between the times while reheating. Serve this up with corn chips and you will be sure to have nothing left… even if you are the only one in the house at the time of it being served… just kidding I didn’t eat it all but I could have! Tagged beer cheese dip, beer queso dip. Bookmark the permalink. Yummm you’re beer experimental food always makes me hungry! this is one of my favorite recipes that I have made so far. It is amazingly good!